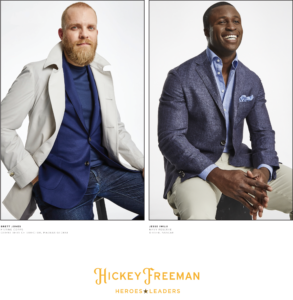 Tim Gittens, Hickey Freeman’s representative, will be in the store to help with your selection of fabric, model, and fit. Enjoy special event pricing. The HEROES & LEADERS program supports returning veterans with suit donations and volunteerism. Help us create awareness and celebrate veterans and their success after service by shopping at the show.